Everyone knows how important it is to incorporate social media into your business and marketing strategies, but coming up with original posts day in and day out can be a bit taxing. Here are 35+ evergreen ideas that you can use, modify, and recycle to keep your connections engaged and your social presence up to par. 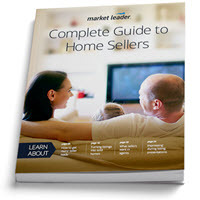 Share a free resource, such as a guide to the home selling process. Invite a colleague, past client, or even family member to guest post from your page. Invite your children or a family member to guest post to keep it warm and lighthearted. Be mindful of context and be careful not to offend anyone. Share seasonal posts – Check out this “National Day” calendar for quirky national holidays to share. What are your favorite dog-friendly parks/places? If you could do anything to your home, what would you do? Do you have any ideas or favorite post types that we’ve missed? Let us know in the comments! Looking for more? Enter your email address to get best practices, tips, and educational webinars sent directly to your inbox. Great Ideas Adrian. Thanks for the sharing. Nice post for soical engagement and keep sharing.